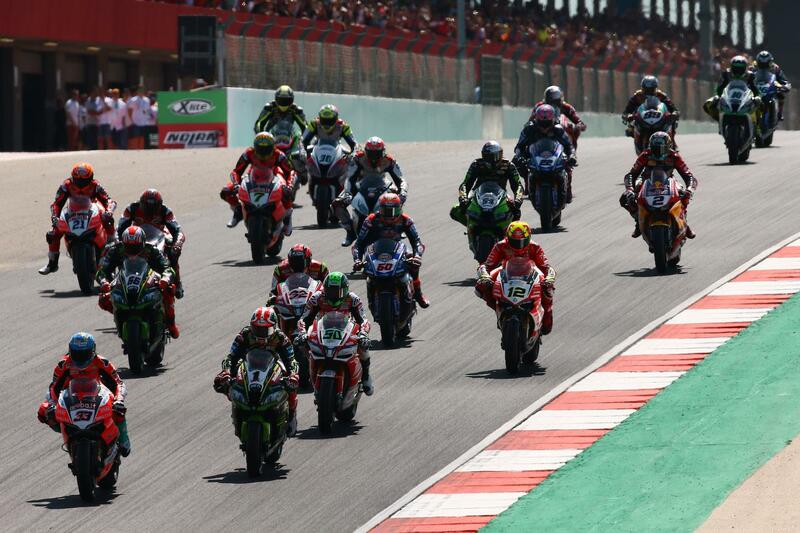 World Superbike bosses have confirmed a radical shift in the championship’s structure for 2019 as the series reverts to its traditional two-races-on-Sunday format, albeit with significant changes from the past. One main race will still continue to be run on Saturday and Sunday, with a new shorter sprint race added to Sunday morning. The Sunday morning race, officially titled the Superpole Race, will be fixed at ten laps of the entire season, with points awarded only to the top nine as follows: 12/9/7/6/5/4/3/2/1. However, while points will be awarded and while the race will set the top nine grid spots for Sunday’s second race, it will not be included in statistics and historical data. In order to make way for the changes, Saturday’s qualifying format will also be altered, with only one single qualifying session in lieu of the current two-session Superpole format. As previously announced, there’ll also be changes to the World Supersport 300 format, with the series now running two separate sessions to accommodate the increased grid. They will then battle it out in a last chance qualifiers race on Saturday afternoon before setting the final grid for Sunday’s championship race. Ducati have confirmed that they won’t race their all-new V4 superbike until the 2019 season.